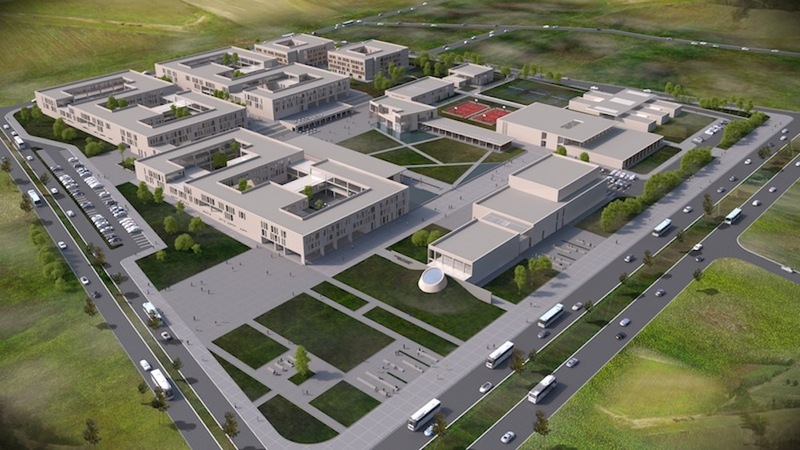 Şanlıurfa Viranşehir Educational Campus has been planned around a main Campus Lawn, with the classrooms, laboratories, multipurpose halls, main library, teaching staff rooms and administrative units surrounding the northern and eastern parts of this square; the Dining Hall, Social Centre comprising of Student Clubs and Shopping taking place on the southern side; the Science Center, Performing Arts Centre Sports Center on the Western side and finally, Dormitories, Medical Center, Nursery School and the Religious Center being on the southeastern part of the site. The main pedestrian entrance to the site is between the Classrooms Block and the Science Center. 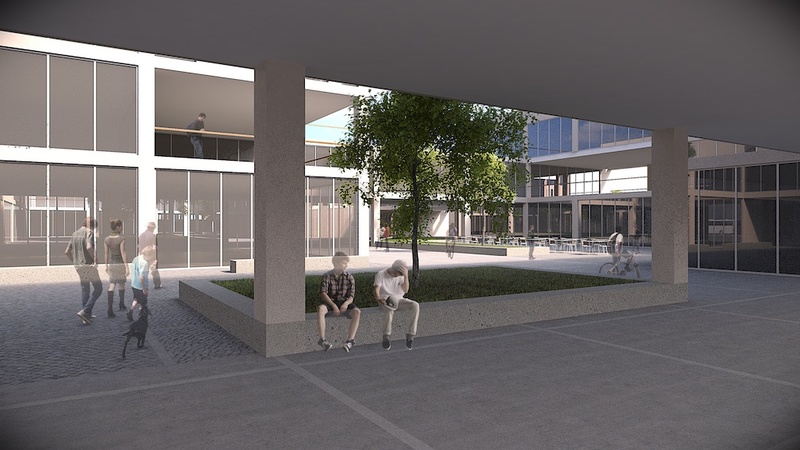 Since both the Science Center and the Performing Arts Centre are to be used also by the general public, they constitute an interface between the main road and the Campus Lawn, thus giving access to the public from the Western part of the site, without entering the campus itself. 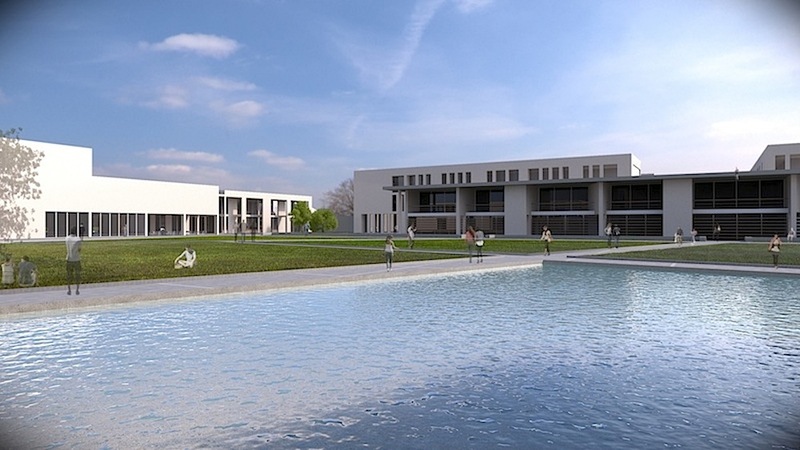 The classroom blocks are made up of three nearly identical blocks, with courtyards at the center, offering sun protection and bridges with terraces spanning between the different wings. 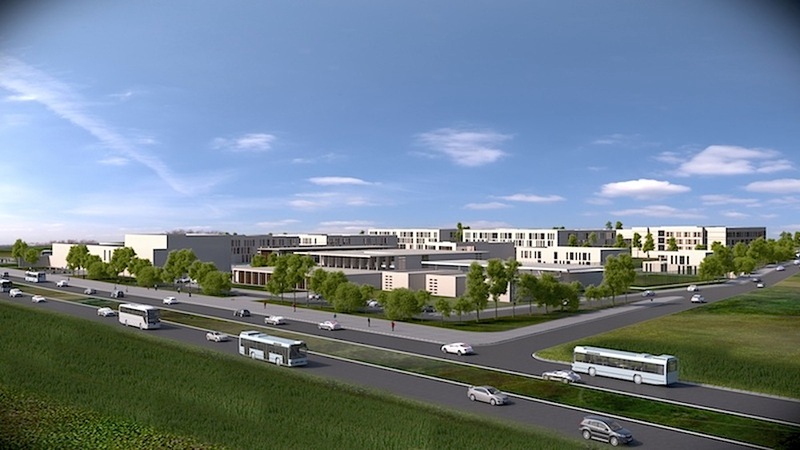 Multi purpose halls, painting and music classrooms, along with canteens are spread throughout the ground floor, while the classrooms and labs are dispersed on the upper two floors. The courtyards offer relaxing areas where students can spend the intermissions and where painting and music activities can be held in good weather. The library has been separated from the classrooms, with an identity of its own, overlooking the Campus Lawn. 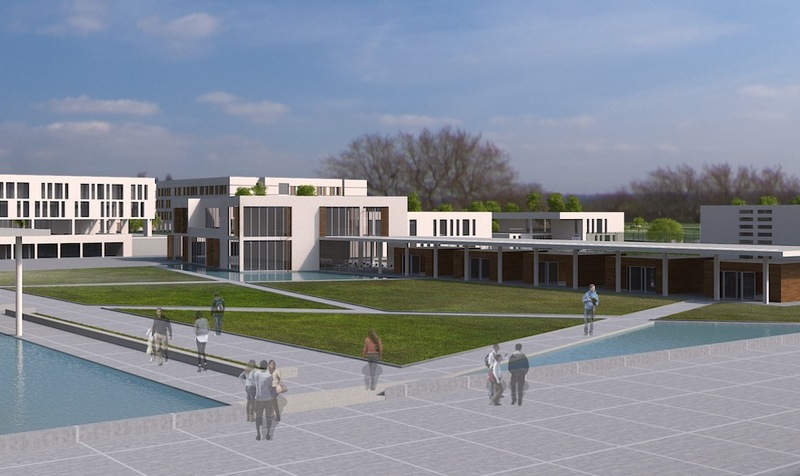 The Dining Hall, Student Club rooms and the shopping area are closely related, thus adding to the liveliness of the Lawn and the adjoining the Campus Square. The Sports Center comprises of a covered pool and a covered sports hall, under a single roof. 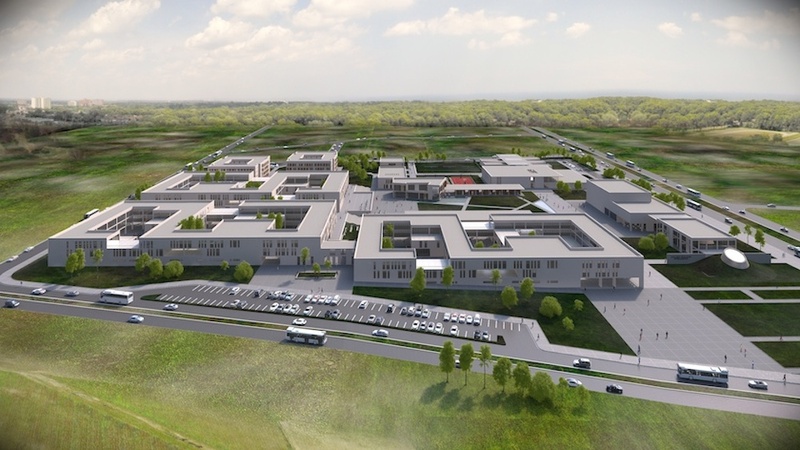 The students’ gyms, together with their respective changing rooms, have been planned in a separate building, just to the south of the main halls. The dorms are planned around courtyards, minimizing circulation and offering more privacy than linear dormitories. The use of water in public squares is a traditional pattern in Şanlıurfa. 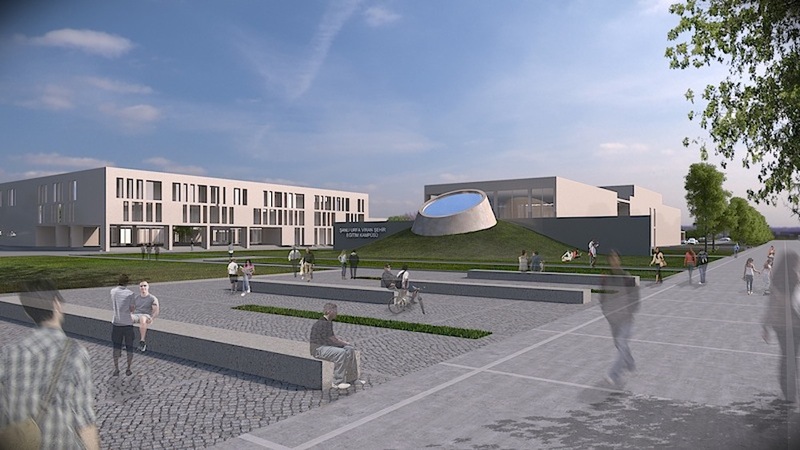 The same concept has been adopted to the Viranşehir Educational Campus, where cooling and reflecting pools are part of the Campus Lawn. Şanlıurfa has a harsh sun, especially in summer. 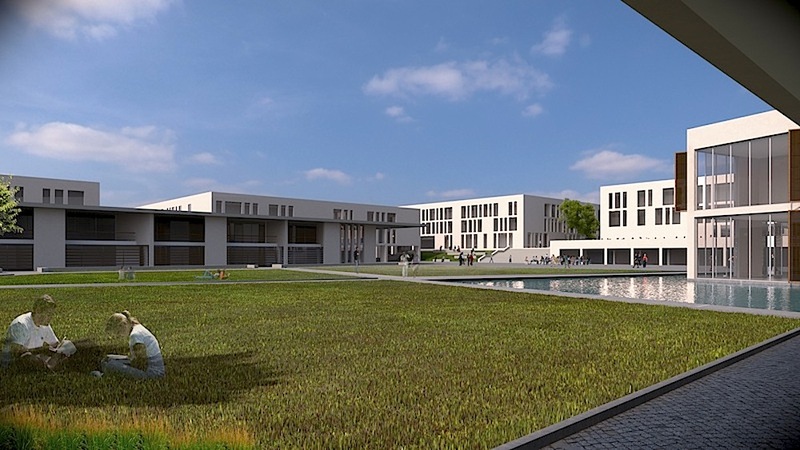 To protect the buildings from the effects of the sun, a “double layered skin” has been designed along the southern and western facades of the class room buildings. This system not only allows the sun to penetrate the classrooms but also protects it from its effects such as overheating and radiation. Similar sun protection systems have been adopted in the other buildings, such as sliding shutters in the dorms, deep balconies and overhangs in the library and a pierced double wall in the swimming hall. 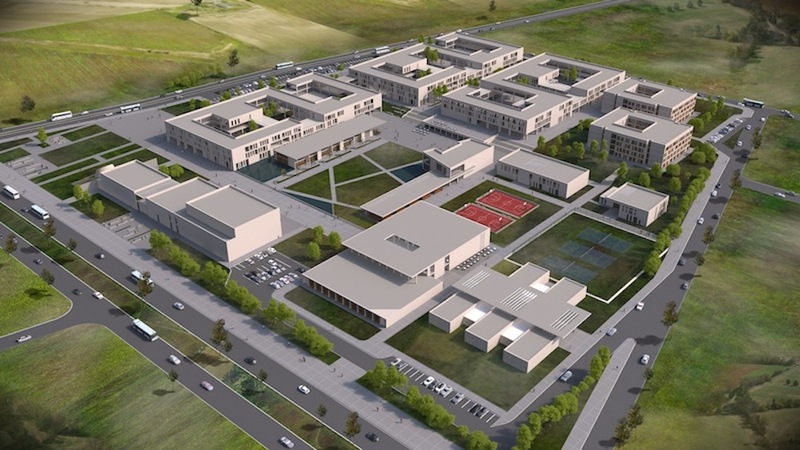 Local stone, wood and exposed concrete have been used in the campus buildings, thus offering a pleasant and sustainable material combination, with a high heat absorption coefficient of the local Urfa stone.